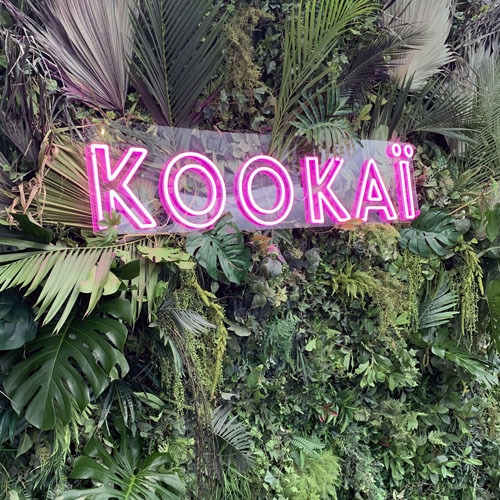 Put your logo in lights, create a neon light sign for your next corporate event, add unique LED neon decor to your office or stand out at the tradeshow with a neon custom sign. 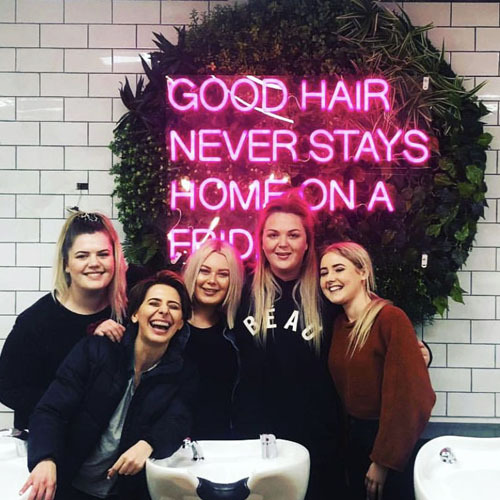 Indoor or outdoor, company name or logo, tagline or mascot, we design and create eye catching LED neon light signs for a wide range of businesses across all industries. To create your own neon business sign, upload your logo, company name, tagline or artwork here. 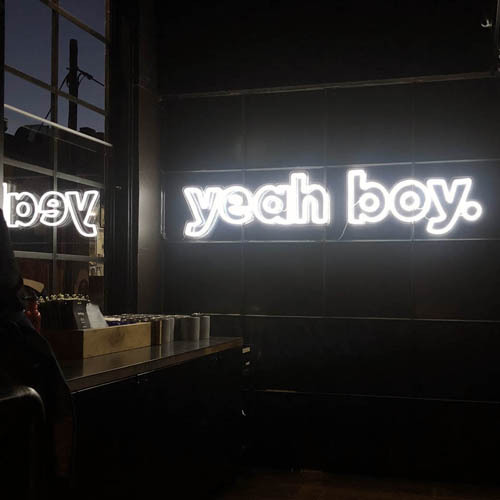 We’ll send you a quote and neon sign mockup to approve and work with you to ensure the neon light design is exactly what you’re after. We have had the pleasure of working with an amazing array of companies – from multi-national corporates to entrepreneurial start-up – in every conceivable industry. We’ve designed and produced high quality LED neon signs for the world’s largest workspace provider and many other international brands. 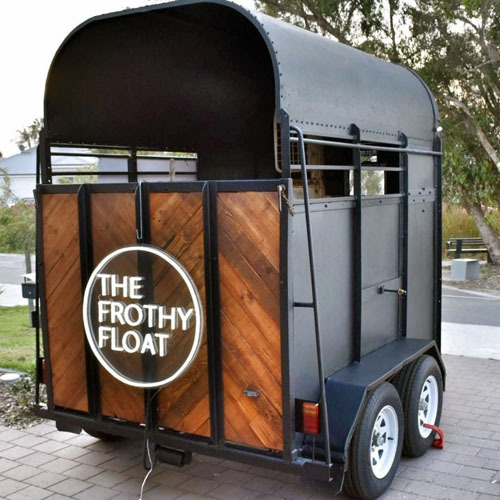 At the other end of the scale we’ve created on-trend neon business signs for bars, cafes, beauty salons and a mobile bar in a horse carriage (you have to see the photos – it’s too cute)! 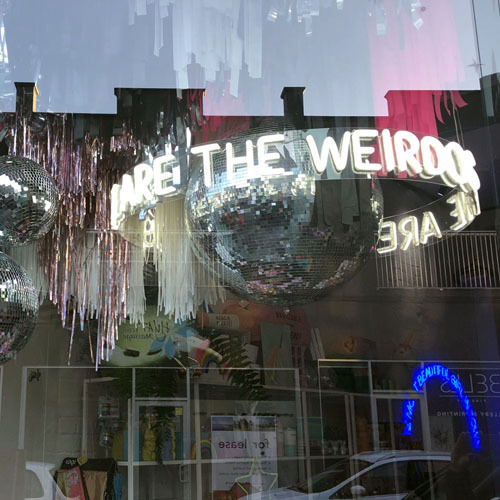 Modern neon lights are no longer relegated to store front and sidewalk signs. The cost effective, energy efficient, lightweight properties of LED neon flex allows businesses to take advantage of the eye caching nature of neon lighting at a more attractive price. 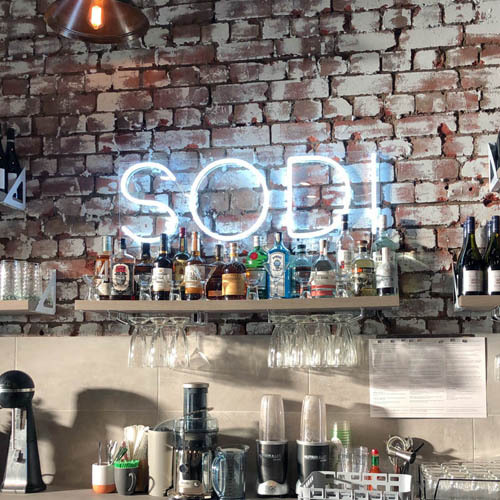 Not only are LED neon light signs cheaper, but they’re also easier to install due to being less fragile and lighter than traditional glass neon. So you don’t need to pay an installation team, you can simply wall mount it yourself. 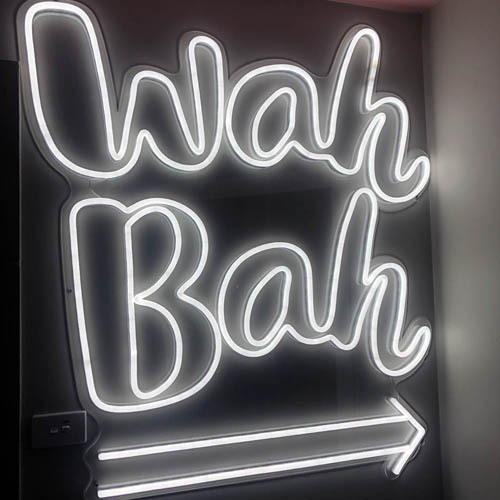 This means you can now afford to have a custom neon light sign for a one off event, sale, trade show, a fashion boutique dressing room (let your neon light photo bomball your customers’ selfies! ), bathroom sign, sponsored charity event – the possibilities are ENDLESS! Have a look at the photos of the outdoor and indoor signs we’ve created. Or keep reading for some ideas of the different types of neon LED business signs we can offer you. No matter what industry you’re operating in, having your logo in neon will be an immediate draw card for customers. It’s bright, efficient, durable, recyclable, and more cost effective than glass neon. The bonus is whatever your logo is we can make it into a stylish contoured neon light. We trace your logo and use the outlines to turn into a visually appealing neon light. If your logo needs to be simplified to work as a neon sign we will work with you on making the design just right. Looking for LED neon outdoor signs for your business? We can help you with waterproof and weather proof LED neon lights. All of our outdoor neon business signs are UV resistant and come with a 3 month manufacturer's warranty. All our LED neon lights are handmade. Please note that the process required to make the neons watertight can sometimes leave a small visible seal mark on the outside of the neon tubes. This is perfectly safe. When your sign is mounted and switched on the marks won’t be visible. Our LED flex neon signs conform to CE, RoHS and UL certification. 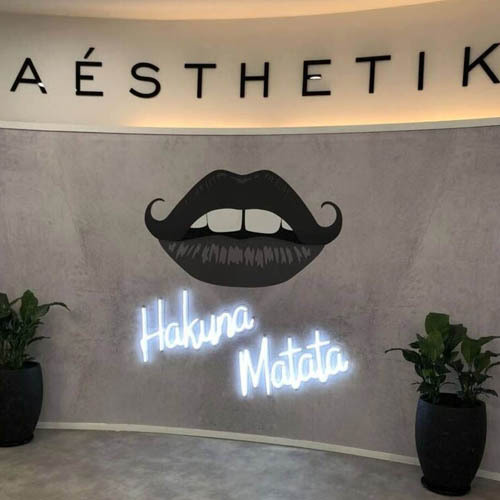 Today, a custom LED sign made with neon look LED flex is so inexpensive that even small businesses and start-ups can afford to have at least one. The real question is, can you afford not to? Snap happy millennials aren’t the only ones looking for a photo worthy backdrop to grace their next social media uploads. 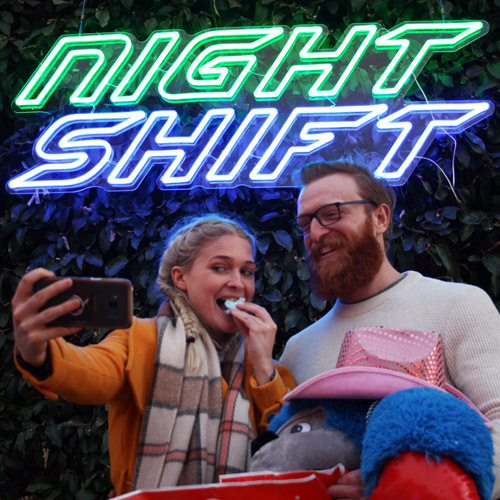 Grab yourself some free online publicity – get animated neon signs, aesthetic neon art, or on-trend letter signs. We have a wide range of bright LED neon open signs as well as closed, no vacancy, business hours of operation, and other window signs. Each one can be customized with your business logo. If you want a custom neon sign we can come up with a truly unique design just for you. We can create both animated, RGB color changing, and flashing neon LED signs. We’re more than happy to work with you to develop a design that portrays your brand image and stands out. Custom Neon can meet more than just your neon needs! 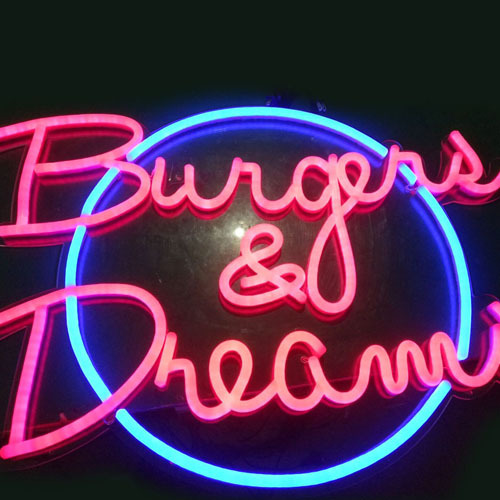 If you’re looking for something that encompasses sign printing and neon - good news! UV printing is an effective and durable signage option. We can provide UV printing on any colored acrylic in any RGB shade. 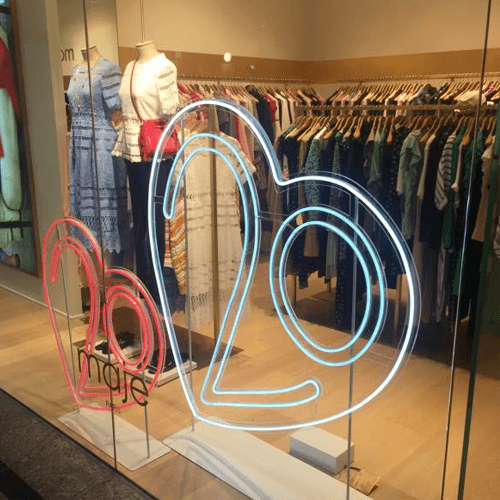 What are the benefits of LED neon for your business? Choice – we can create wall mounted signs, box signs, stands and many other types of neon business signs. You want it? We can do it! 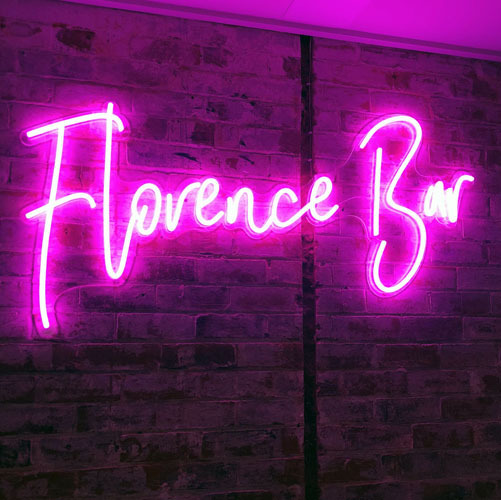 Easy Installation – our LED flex neon lights are on high quality acrylic that is ready for wall mounting – no specialist installation team required. Lowest Prices – we promise to beat any like for like quote for customized business signs by 10%! No matter what sort of sign you want and where you want to hang it we can produce shape cut, letter cut and channel letter signs in 15 colors - use just one or all 15 for your sign. You can also choose flashing, animated and color change LED neon signs. The baseboard options for business signs are clear or black acrylic, ABS, PVC or aluminum panel with a 3-6mm thickness. All of our business signs use a 12V DC adaptor which plugs into a power socket. Once production is finished your sign will be shipped in vibaration proof packaging inside a sturdy outer box, and sent to you using a reputable courier such as DHL, UPS, TNT or Fedex. Our LED neon flex business signs are shatter resistant, energy efficient, recyclable, UV resistant and conform to CE, RoHS and UL certification.